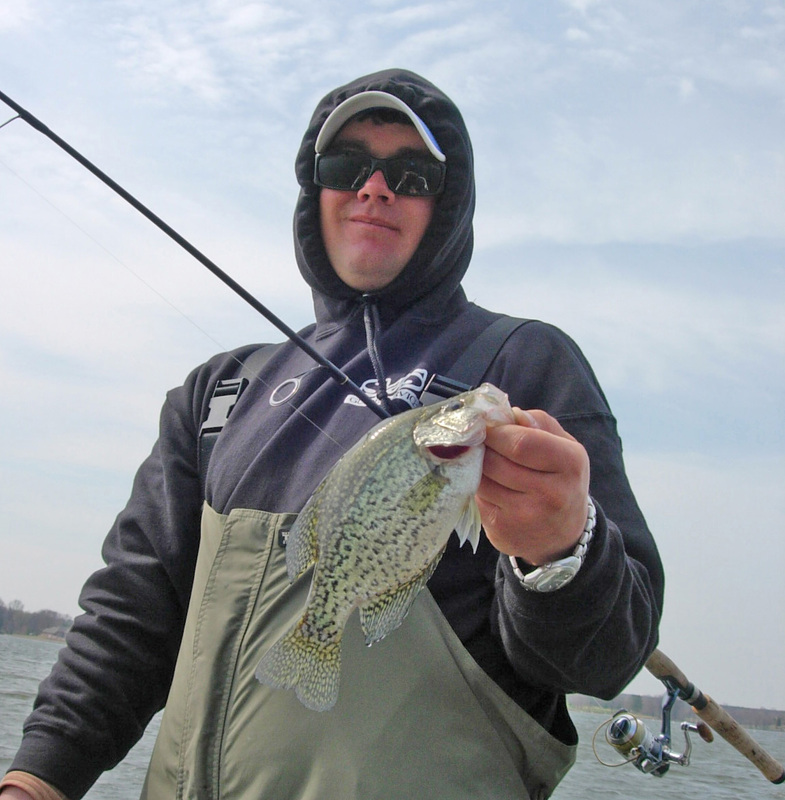 Power plant lakes provide southern Illinois anglers winter bass and crappie action. Lake of Egypt is one of the best. Even during the coldest days the artificially warmed waters offer spring like fishing conditions. The warmer water is a byproduct of the cooling of electrical generators at the north ends power plant location. The water warms as it passes over the generators before it ids returned to the lake through the discharge. The result is the warming of the surrounding waters to as much as 60 degrees. Anglers who fish by temperature have no problem finding water in the 50-degree range or warmer. Then they find fish. Usually the water in the center channel (an old creek bed) warms first. The warm water travels from the north down the channel to the south. The warmest water is, of course, nearest the plant outlets. On warmer days wind plays a part in just where to find the warmest water. The wind pushes the warmer water to a nearby point or a stretch of shoreline. These wind swept points are great for the bass as they follow the forage fish. If the water is shallow on the points you might catch a fish every 15 to 20 minutes. Most of the spring time lures produce fish. Cold fronts do not usually have an adverse effect on the power plant bite. But, the cooling effect on the surface water might drive the bass deeper. They might go down to depths of 10 foot or more. Bass boat electronics assist fisherman to find just how deep the fish are sitting. Then it is a matter of changing baits to reach them. Lures such as Rat-L-Traps and the bottom-bouncing Little Georges are a good choice. Lake of Egypt is about 9 miles south of Marion, Illinois, via Interstate 57 and Route 37. The 2,300-acre lake has 93 miles of shoreline. There are three full service marinas on the lake. All are on the eastern side of the lake. It is snowing and cold outside. This is a time to find some outdoor activity that relates to fishing to keep busy. Perhaps it is time to work on a tackle system. This system is dependent upon your planed fishing. It is simple if all of the fishing is from a single boat for one species. If wading, then organization takes some planning for weight and limited storage space. There are just so many pockets in a fishing vest. Maybe your plan is to fish for different species in different locations under a variety of conditions. It is easier to have a number of tackle boxes. Then label the boxes by species which you anticipate finding. 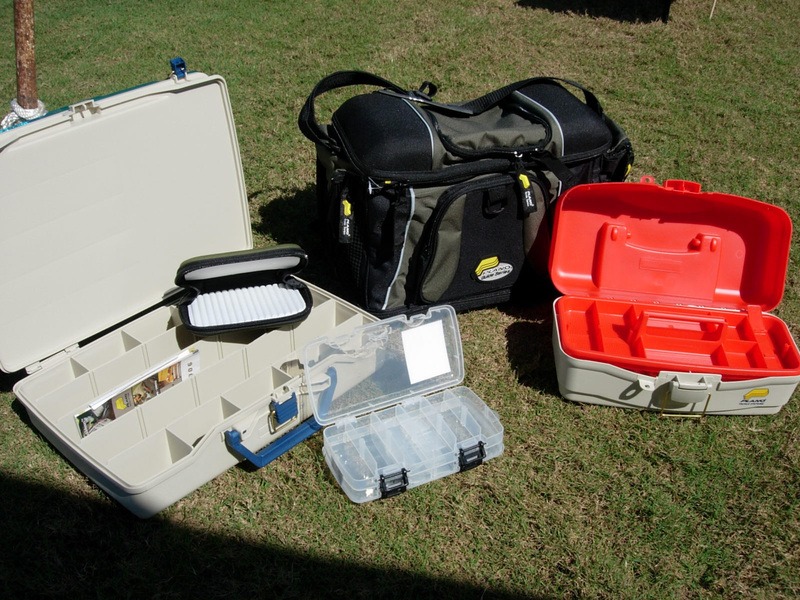 A simple way to keep tackle separate is to use clear plastic tackle boxes. They come in a variety of sizes with moveable dividers. Into each box go lures for a specific species. Check to see if any lures need hook replacement or other repair. Advance checking saves time later on the water. Why spend time sharpening hooks when there are fish out there for the catching? In a single box, you may put a few lures that work on the surface, with some that are deep diving. Just to be on the safe side add some that work in between those areas. When it comes to soft plastics, also put several of each favorite color in zip lock bags and add to the boxes. Putting them in the plastic bags prevents the colors from bleeding into each other. For live bait fishing all terminal tackle goes in these same boxes. There is a variety of hooks and a selection of weights and/or floats. 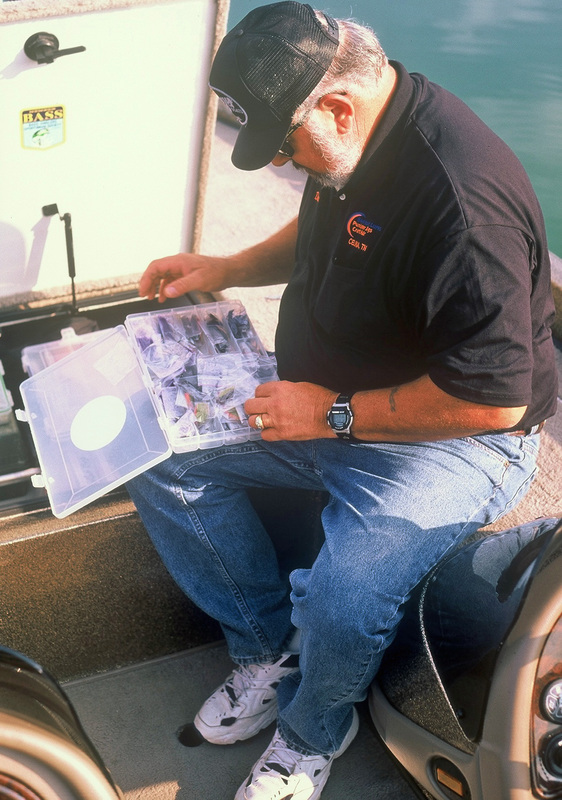 For wade fishing and fly fishing, small plastic boxes which fit into pockets are good idea. It is also good to include a few lures for each situation for unexpected situations. Label each box as to species. An additional box holds, a few band aids, a knife, compass, flashlight, pliers and forceps. When it comes time to go fishing, add the boxes you need in day pack. Add a camera and take off. This is not the only system in the world. But, any system is better than none. Once you have a place for everything and everything in its place, you can concentrate on catching fish. Early settlers to Illinois country found the diminutive Virginia white-tailed deer. It supplied food and the hides provided shelter. By the beginning of the twentieth century, the deer were fewer and more difficult to find. The transplanting of whitetails from other states and a wise use of the resource strengthened the deer gene pool during the 21st century. The deer of Illinois began as an experiment in wildlife management that took place in the Shawnee National Forest. Wisconsin deer transplanted in the forest bred with the smaller Virginia subspecies. The Biologists of the then Illinois Conservation Department transferred their progeny to other areas of the state under controlled conditions. Illinois has major river bottomland country that is typically very fertile. The silt deposits result in good soil. The rough ground along drainage is difficult to clear for agricultural purposes and thus remains good deer habitat. 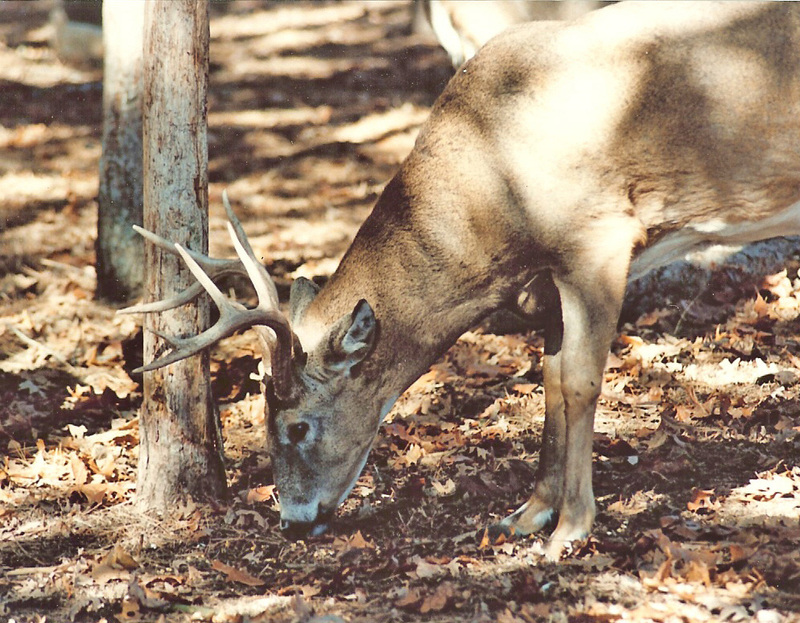 Deer hunting in the Shawnee National Forest is great and the public access is extensive. Stretching from Cave-in-Rock on the east to Grand Tower in the west, Shawnee contains parts of some ten counties. The hills of Bald Knob (elevation 1,048) and Williams Hill (elevation 1,064) cap some 277,000 acres of hardwoods and pines. In fact, the forest area is a transition zone between North and South, East and West. It consists of a variety of habitat. Deer typically travel river bottomland corridors. The travel forces them together for a good genetic mix. Good phosphorous content in the soil of the western part of Illinois coupled with the availably of forage in the Shawnee National Forest, affects antler growth. For deer, grasses, weeds, browse, fruits and mushrooms are as important as acorns and other nuts. Most hunters neglect weeds as food sources for deer. But, they digest easily and provide high levels of protein and phosphorus. The same is true of mushrooms a popular springtime food for deer. In winter deer seek high carbohydrate foods such as corn and acorns. The Shawnee has a high number of oak trees combined with scattered agriculture fields often containing corn and soybeans left from agricultural practices. All of these food sources are in abundance in the forests of southern Illinois. The additional factor of mild winters leads to a low winter kill. The Shawnee is the largest tract of public hunting land in Illinois. Its appearance is more like the Ozark Mountains to the west than the flat agricultural fields usually associated with Illinois. Trophy potential of the area is good and each year provides several Boone and Crockett bucks. However, the general body size of the deer is slightly less than one would find in central or northern counties. This is simply because they do not have as easy access to corn and soybeans that the deer in those agricultural areas. Counties such as Pope in the Shawnee can be as much as 70 percent wooded with rolling grass and crop fields intermixed. The large expanse of wooded wilderness means that a hunter will have to walk as much as two or three miles before coming to a road. Hunters do not usually experience crowded conditions after the end of the firearms season. Leasing of private ground around the forest is becoming more common. If a hunter spends time in the area knocking on doors, they might find landowners receptive to hunting. Orchard farmers take a beating from deer populations and are anxious to rid themselves of some of the animals. For more information about the Shawnee National Forest and the hunting regulations of the State of Illinois, contact Illinois Department of Natural Resources, One Natural Resources Way, Springfield, Illinois 62702-1271. For information about the forest contact the United States Forest Service Office, Harrisburg, Illinois 62946 or 800-699-6637.